The ibis Styles Chalon sur Saône hotel is a 3-star hotel located in the heart of Burgundy. 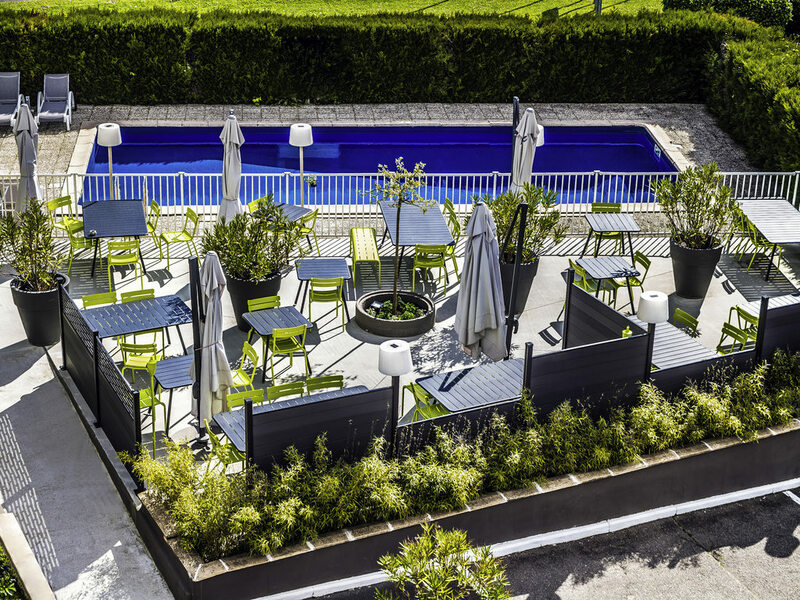 0.4 miles (0.7 km) from the A6 exit and a 30-minute walk from the TGV train station, this hotel is located on the vacation route and has 85 rooms, a restaurant, a b ar, a swimming pool and 5 meeting rooms for your business trips. Close to the center of Chalon-sur-Saône and the historic district, this hotel allows you to access the Burgundy wine route and discover the exceptional areas that enrich the region. Our restaurant menu features regional dishes with a twist and a selection of Burgundy wines, prestigious wines from Côte de Nuits and Côte de Beaune, with wine from Côte Chalonnaise taking center stage. The Lounge Bar is a warm, inviting setting with a modern, sophisticated feel. Sample a selection of Burgundy wines and soak up the sun on the terrace as you sip one of our house cocktails by the pool.